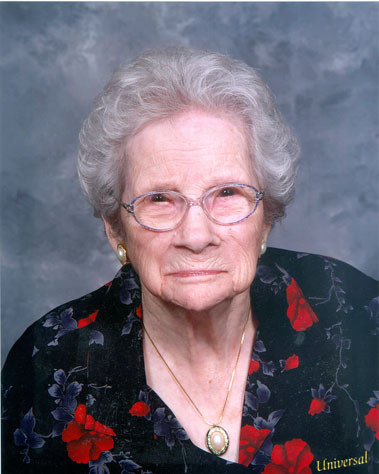 Josephine L. Fultz, 99, of Middletown, passed away on Monday, January 7, at Middletown Home. She was the wife of the late Robert C. Fultz Sr.
She was born in Shindel. She had worked at the former Judy’s News, Middletown; was a loving wife, mother and grandmother, and renowned cookie baker and seamstress; and she regularly attended services at the Chapel at Middletown Home. She is survived by five children Robert C. Fultz Jr. (Shirley) of Grantville, William C. Fultz (Cynthia) of Middletown, George L. Fultz (Sandy) of Reading, Karen Brennan of Middletown, and Cheryl J. Forsyth (Donn) of Middletown; 18 grandchildren; 45 great-grandchildren; and a host of great-great-grandchildren. She was the last surviving sibling out of 10. Josephine’s Life Celebration funeral service was held on Saturday at St. Peter’s Evangelical Lutheran Church, Middletown, with the Rev. Dr. J. Richard Eckert officiating. Interment was in Woodlawn Memorial Gardens. In lieu of flowers, memorial contributions may be made to St. Peter’s Evangelical Lutheran Church, Spring and Union Sts., Middletown, PA 17057; the American Cancer Society, 2 Lemoyne Dr., Suite 101, Lemoyne, PA 17043; or to the American Heart Association, 1019 Mumma Rd., Wormleysburg, PA 17043. To share your fondest memories of Josephine, please visit www.lifecelebration.com.